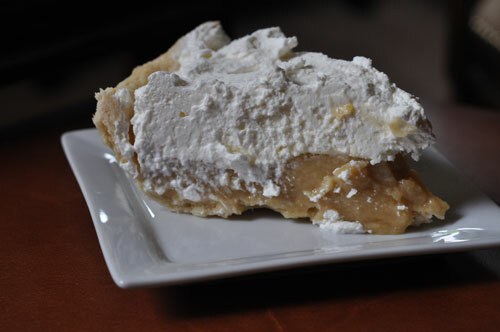 I made this butterscotch pie the other day and it was totally scrumptious. 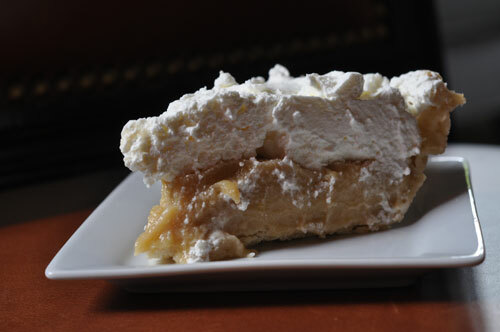 I tried to take a different type of picture with this pie…a little moody, don’t you think? So, with the butterscotch pie, I experimented with a matte finish background. Interesting…..now, if I could only learn to focus better…. Mix together flour or cornstarch, brown sugar and salt in a saucepan. Gradually add milk. Cook over medium heat, stirring constantly until the mixture thickens and boils. Cook 2 minutes and remove from heat. Add small amount of hot mixture to egg yolks and then stir egg yolks into hot mixture. Cook for another minute, stirring constantly. Remove from heat and add butter and vanilla. Cool. 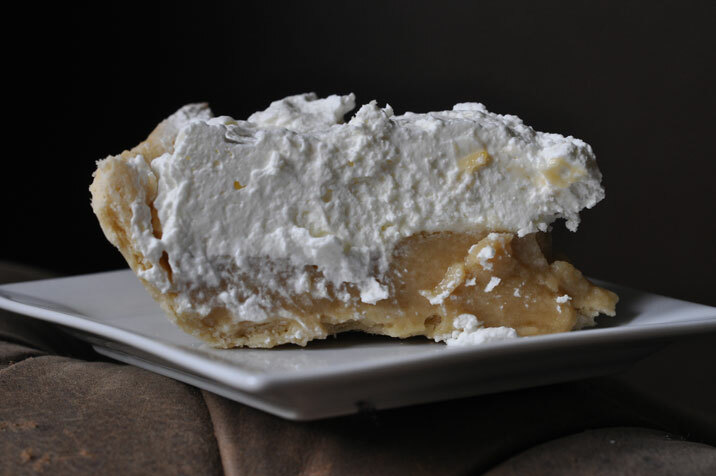 Whip the cream with the sugar and vanilla & spoon over cooled pie. Thanks for your comment, Beth! I hope you’re enjoying China…. My favorite photo was #4 Joan! I loved the close-up photo – – I felt like I could taste the whipped cream. 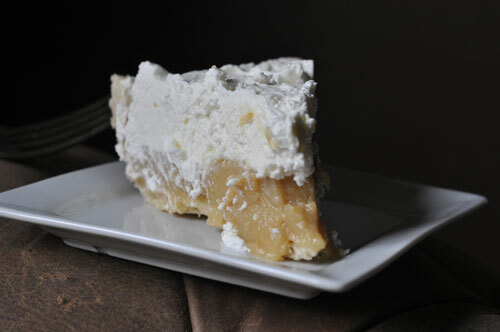 And I liked the brown textured cloth that the plate was sitting on – – didn’t distract from the slice of pie…just made it feel like comfort food…how I picture a slice of butterscotch pie tastes – – comfortable. Oh so much information you have gathered – – so overwhelming for my little brain but I loved reading it all! Next post: Thank You Argentina for Chimichurri Sauce!